The Strand is a world-famous thorough-fare linking the cities of London and Westminster that is as renowned as the authors, poets and philosophers who once lived on or near this legendary street. It might only be 1200-metres long but it is forever etched in the history books thanks to its association with Charles Dickens, Ralph Waldo Emerson, Virginia Woolf, and Britain’s upper class. What started as a muddy track running east along the Thames became a prestigious postcode that saw the city’s well-to-do elite caste build their ornate mansions. Today those buildings house department stores, cafes, restaurants and hotels. Located a few doors down from Twinings – the famous tea shop that has occupied the same presmises since 1706 – and just a short stroll from River Thames, Covent Garden and Trafalgar Square, is a new mixed-use luxury landmark building befitting of the elite social group that once walked the famous road centuries earlier: 190 Strand. Part of Berkeley Group Holdings, this flagship development contains two swimming pools in the resident’s communal Leisure suite – a fully tiled mosaic pool of 125m³, and alongside a 30m³ vitality pool equipped with the latest in air and water jet features. Designed and built by Aqua Platinum Projects, a multi award-winning company that specialises in high-end residential and commercial projects, both indoor pools needed a superior filtration solution befitting of their luxury setting. 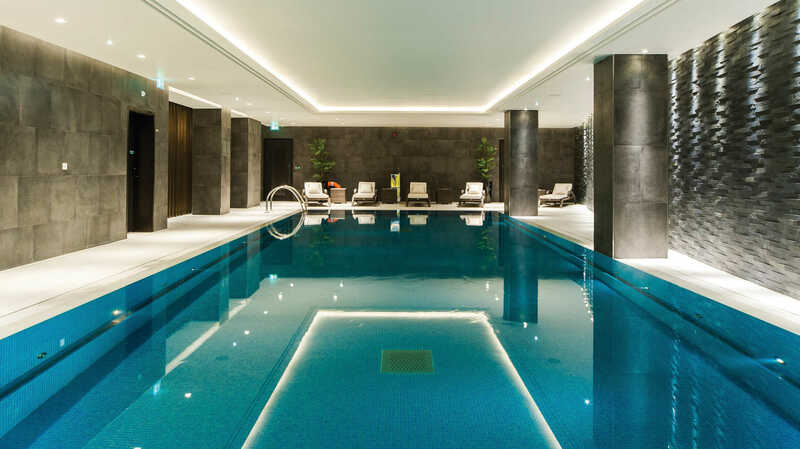 “With the plant room being located a level lower than the pool themselves, it was essential that the equipment that we used was of the highest quality and design,” explains Mr Ryan Fronda, Managing Director Aqua Platinum Projects. 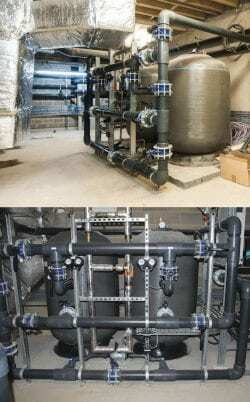 “That’s why we chose Waterco commercial filtration and circulation pumps, and worked closely with Paramount Pool Products. 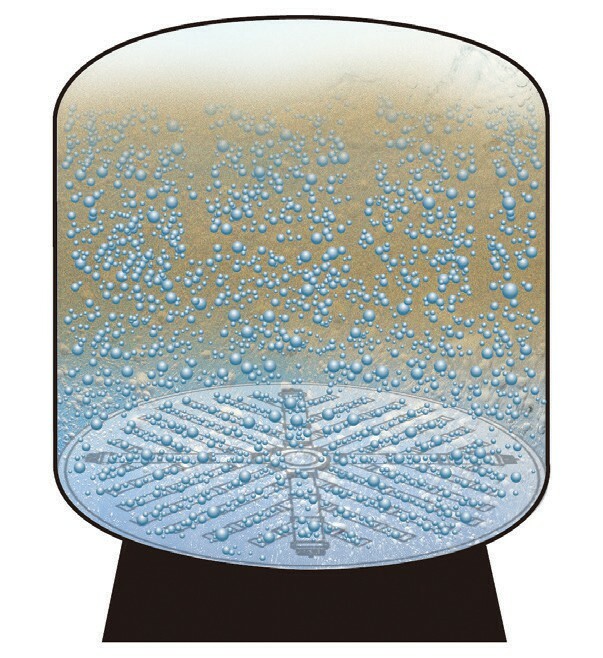 Waterco’s unique “fish tail” lateral configuration eliminates this problem by providing effective coverage of the filter bed and balanced water flow. It was also important to ensure that the products met with Berkeleys needs for “delivering environmental sustainability” and that’s exactly what the SMD range of Waterco Micron Commercial Filters achieve. 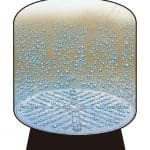 Incorporating the patented “fish tail” lateral design for maximum hydraulic performance, they ensure the highest quality filtration while reducing backwash times, which in turn saves water that is chemically treated and heated. Two SMD1200 Micron Commercial Fibreglass Filters, along with two Hydrostar 4HP pumps; and for the vitality pool, two SMD1050 Micron Commercial Fibreglass Filters and two 4HP Hydrostar pumps for the main circulation and jets. 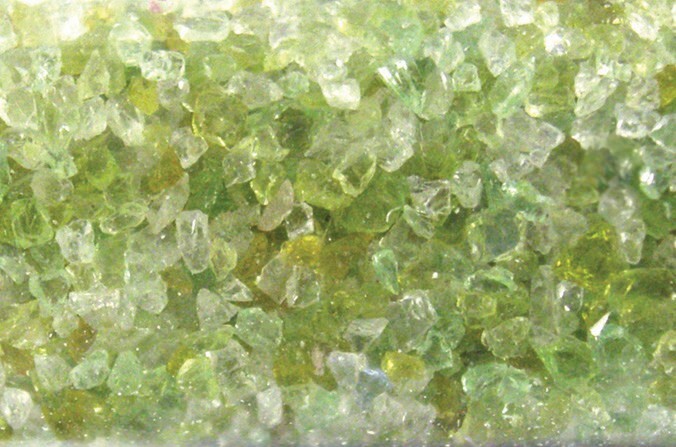 An environmentally friendly and viable alternative to sand, Waterco’s Ecopure glass media meant that the required standard of filtration was achieved, along with substantial water savings through less backwashing. Designed specifically for filter bed depth of 1m the Waterco’s fibreglass SMD range of commercial filters provide enhanced in-depth filtration and increased dirt capacity, resulting in crystal clear, sparkling clean pool water. Waterco’s Glass filter media is manufactured from recycled glass, it is an environmentally friendly and viable alternative to sand. 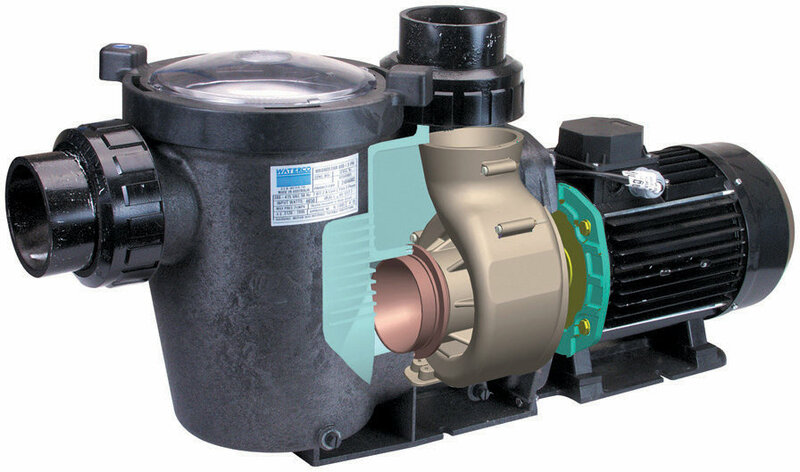 Also, manufactured for commercial and extra large domestic pools is Waterco’s high-performance range of commercial pumps, which provide the extra power needed to cope with ancillary systems like water features, in-floor cleaning, vacuum cleaning, and swim or spa jets. Purpose built for commercial sized swimming pools, Hydrostar pumps efficiently deliver high flow rates and incorporate an innovative quarter lid and lock ring assembly for easy maintenance. Waterco’s Hydrostar pump body is manufactured utilising state-of-the-art engineering plastic moulding with a single piece strainer pot and volute for extra strength. A high-grade 316 stainless steel mechanical seal is incorporated for extra protection against corrosion including chlorinated water, ozone, iodine, Baquacil, bromine and salt water.